Justice T. B. N. Radhakrishnan on 18 March, 2017 took oath of secrecy as the Chief Justice of Chhattisgarh High Court. Justice Hemant Gupta also took oath of secrecy as the Chief Justice of Madhya Pradesh High Court. 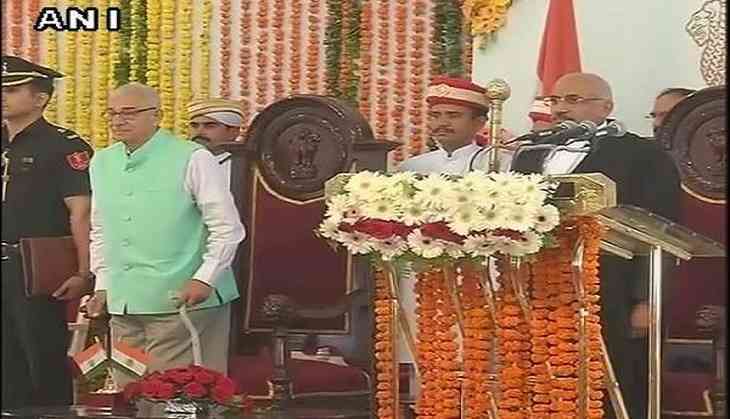 While, Madhya Pradesh Governor Om Prakash Kohli administered the oath of secrecy and office to Justice Gupta, Justice Radhakrishnan was sworn-in by Chhattisgarh Governor Balram Das Tandon. Justice Radhakrishnan, a native of Kollam District of Kerala, started his practice as an advocate in 1983 in Thiruvananthapuram. He later shifted his practise to Kerala High Court at Ernakulam. He got appointed as the permanent Judge of High Court of Kerala in 2004. Justice Gupta was the officiating chief justice of the Patna High Court earlier. Justice Gupta succeeds Justice Rajendra Menon, who was the acting chief justice of the Madhya Pradesh High Court since May 2016.